Greetings from the Last Days of Winter! Callaghan took these pictures last weekend. 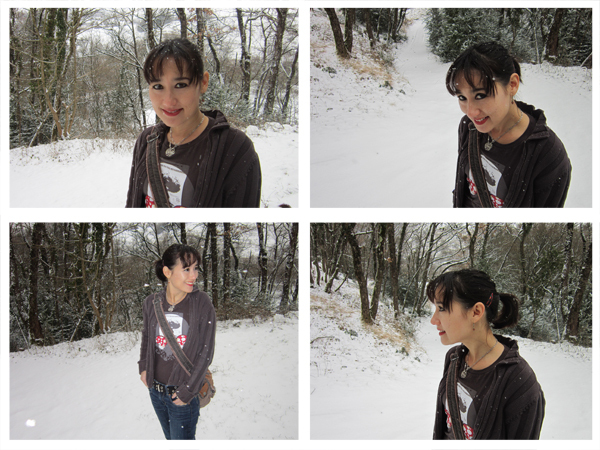 It was snowing, and it was unusually silent… you could hear a bat pee in the woods that day. On our way out to go shopping. It’s not even that cold. Could be the last snow before spring! You are so beautiful. It takes me breath away. Word. Thank you, lovely Lynn. The feeling is mutual!